The world’s population of 7.6 billion is expected to reach 9.8 billion in 2050 a UN report has warned. 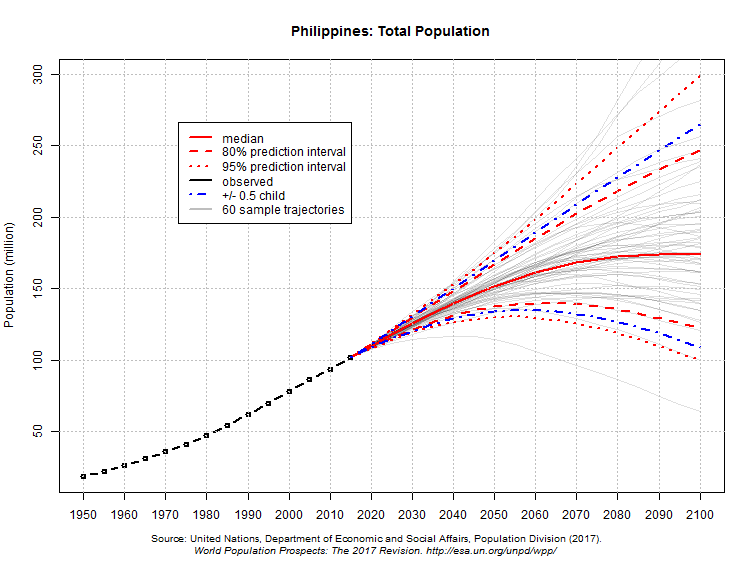 In the Philippines, the population is projected to rise from around 100 million to somewhere in the region of 150 million – a rate well above the regional average. Elsewhere, India is set to surpass China in the top spot, while Nigeria will overtake the US to become the third most populous country, according to the figures by the UN Department of Economic and Social Affairs. “With roughly 83 million people being added to the world’s population every year, the upward trend in population size is expected to continue, even assuming that fertility levels will continue to decline,” the report concluded. The population of India, which currently ranks as the second most populous country with 1.3 billion inhabitants, will surpass China’s 1.4 billion by 2024. But Nigeria is set to see the most rapid growth, along with 26 other African countries that are expected to “at least double” by 2050. The number of people aged 60 or more is projected to more than double by 2050. The ageing population is projected to rise from 962 million globally in 2017 to 2.1 billion in 2050 and 3.1 billion in 2100, said the report.